We all know it’s important to eat a diet rich in vegetables. Does that include sea vegetables? It sure does. They’re low in calories and rich in vitamins, minerals, and fiber. 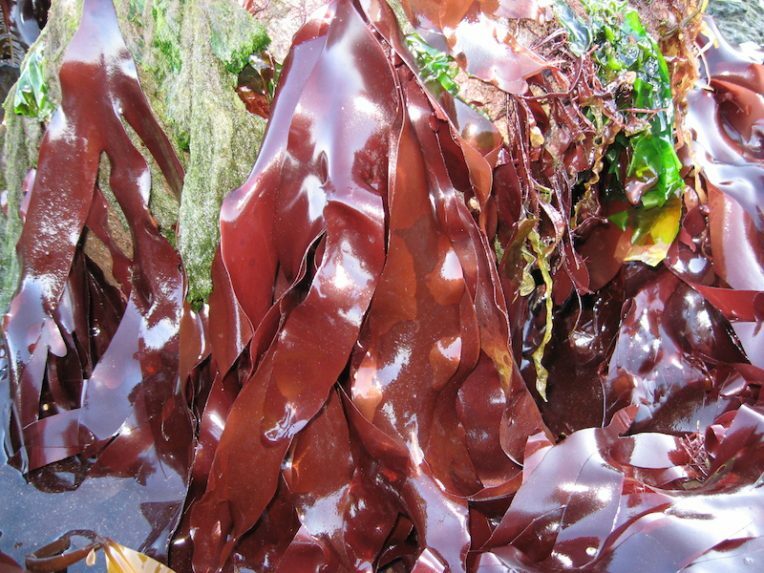 Many seaweeds contain anti-inflammatory and anti-microbial agents. Their known medicinal effects have been legion for thousands of years; the ancient Romans used them to treat wounds, burns, and rashes. Anecdotal evidence also suggests that the ancient Egyptians may have used them as a treatment for breast cancer. 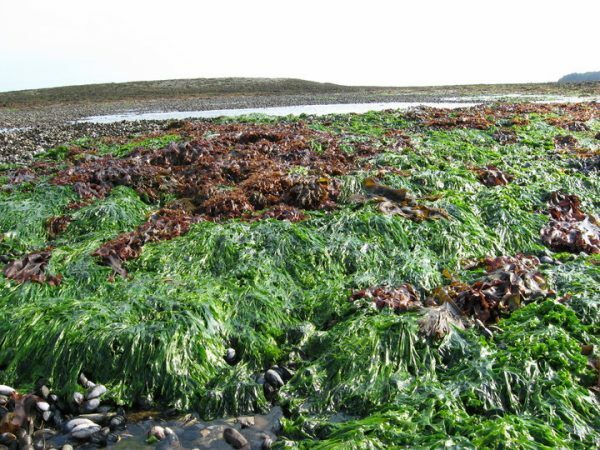 Certain seaweeds do, in fact, possess powerful cancer-fighting agents that researchers hope will eventually prove effective in the treatment of malignant tumors and leukemia in people. While dietary soy was long credited for the low rate of cancer in Japan, this indicator of robust health is now attributed to dietary seaweed. But other than the seaweed you may have seen blanketing the shoreline would you know a sea vegetable if you saw one? They grow in oceans around the world and can be found where the water meets the land. Maine Coast Sea Vegetables has been harvesting sea vegetables off the coast of Maine since 1971. The company sells approximately 100,000 pounds of harvested and dried product every year. There are thousands of species, not all eaten by humans. Some are microscopic and others enormous. Maine Coast offers eight varieties found in the North Atlantic, all certified organic. General Manager Seraphina Erhart, whose parents Linnette and Shep started the business, says they harvest the vegetables directly from their beds at low tides. They’re dried at low temperatures by sun, wood or forced hot air, (some are milled) and then packaged. If you’ve been thinking about rounding out your diet with some seaweed but don’t have a clue where to start Maine Coast has tons of tips. Here are a few and you’ll find lots more on its website. A Nutrition-packed Drink: Mix 1-2 tsp. into water, stir and drink as soon as possible (it will form a gel in less than a minute). Chase with juice. Or try mixing directly into juice. Kelp & EFA’s: Mix 1-2 tsp. Kelp with water and ground flax seeds, ground chia seeds (sold under various names, including “anutra” or “mila”), ground hemp seeds or hemp protein powder. For a broad spectrum of nutrition, include all ingredients in one glass. If you’re ready to jump into a bed of seaweed with both feet, here are two recipes for you. Your body will say thank you. 1. Thinly slice onion, pepper, carrots and celery on the diagonal and sauté together in a lightly oiled skillet for 2 to 3 minutes. 2. Add the broccoli florettes and tofu and cook about 5 minutes more. 4. Add a dash of tamari, shoyu or soy sauce to taste. 2. Lightly rinse the dulse, squeeze dry, finely chop. 3. Mix the tahini, mustard powder, hot water, tamari, and dulse into a creamy paste. Mix this into the cooked rice. Let the rice stand for about an hour until it is cool enough to handle but still warm. To roll the sushi, lay one sheet of nori on a bamboo mat with the bamboo running horizontally, or lay the nori on a cutting board. Place about ½ cup of the rice mixture on the bottom half of the nori. Roll, starting with the end closest to you, pressing the ends inward, and using even pressure. Replace any filling that might fall out. Dampen the last ½ inch of the exposed nori sheet to help seal the roll. Slice into rounds to serve. Don’t feel like cooking any seaweed? Maine Coast just happens to sell a kelp-based snack bar. It’s called a Kelp Krunch Bar and you can order it right here. How do you like to eat seaweed? Do you have any recipes to share?